My car's battery died earlier so we need to change it and luckily, there are people in our area who sells and fixes battery. It costs us 330 AED. Another slash in my wallet but I didn't have any choice but to buy it or else, my wife and son will go by cab and me, walk through the blazing heat PLUS this HUMIDITY. This humidity adds to the hotness of the day. 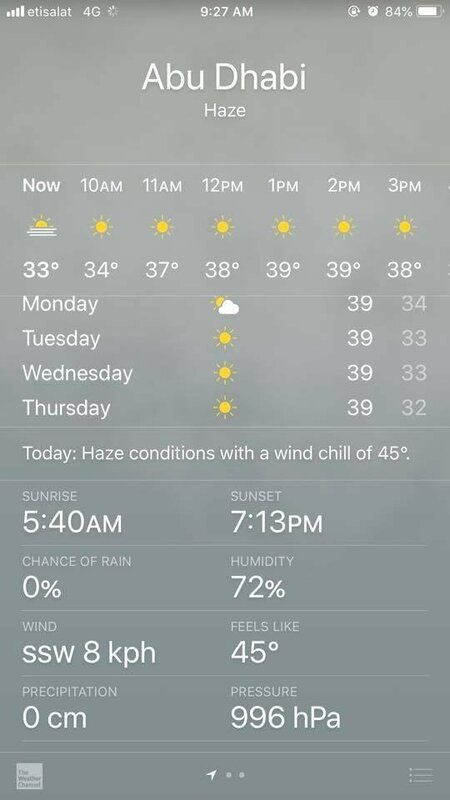 The heat is actually 38 degrees but with humidity, it feels like 45 degrees centigrade. Imagine that? You can even fry and egg in this weather. Haha! This is after the sandstorm we experienced last week which by the way, made my wife sick (cough, colds and sore throat). I just wish summer will be over soon.